Value Quest Food developed a new candy line for kids. The candy was small and chewy and came in many flavors. Gazilly, a fun crazy and mischievous character was created. Packaging included 12 individual boxes, multi packages and displays. The packaging was designed to humor and entertain the kid in all of us. 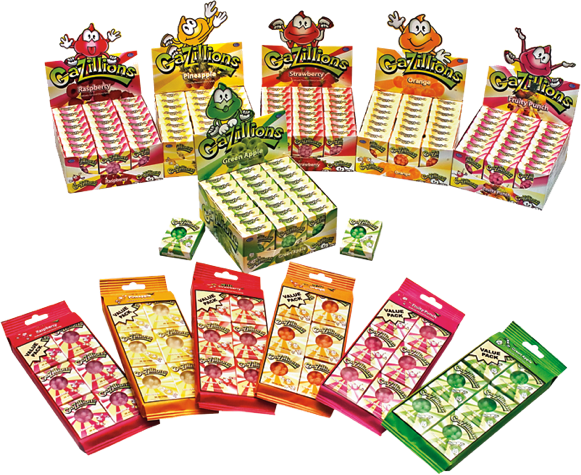 The Gazilly character was designed to show many facets of his personality and each different character was used in the 12 different flavors.